Three years ago we drew 2-2 in a pre-season friendly against Celta Vigo and last night that score was repeated as the La Liga club scored two goals sandwiched between two from the Clarets. The hugely impressive Robbie Brady was involved in both our goals. He scored the first early in the game and then had an assist as his mate Jeff Hendrick scored our second and the final goal of what at times was a very entertaining game. Last Friday we had our problems getting down the M6 for the under-23 game at Brocton. It caused a kick off delay of just over ten minutes when the coach taking the Burnley team had similar difficulties and last night it was the turn of our Spanish opponents to get stuck on the same motorway as they headed to Turf Moor, forcing the kick off time to move to 8 p.m.
Sean Dyche had said it would be about minutes again and he opted for another different formation, a 4-5-1 I’d suggest but with Jeff Hendrick in a very advanced role in the midfield. Captain Tom Heaton sat it out on the bench while there was no place at all for Ashley Westwood in the match day squad. Dyche also said after the game that Celta were a side who were constantly passing the ball. They certainly did and as Burnley dominated the first half hour they gave the ball away far too often. But don’t let that take any credit away from a Burnley side who played some really good football particularly coming from the midfield which is certainly much changed from this time a year ago. Back in August 2016 a Brian Stock Day was held to commemorate Burnley having gone four years without ever paying a transfer fee for a central midfielder. Last night Hendrick was in that area alongside Jack Cork and Steven Defour while, for good measure, they were flanked by Johann Berg Gudmundsson and Brady. We’d already had a couple of shooting chances before we took the lead. Both fell to Cork who, good player he might be, can’t be considered a goalscorer. His first effort was too weak to trouble the goalkeeper while the second troubled the empty away end seats. Brady started the move for the goal and he very definitely ended it. He received the ball, moved forward with it and then played a ball to Sam Vokes. Vokes played a quick ball to Hendrick who played it back for Brady to score with a outstanding shot into the top corner of the net. Everything seemed to be going to plan. We were the better side and looked comfortable, but the game changed just past the half hour mark as Celta really started to come into the game. They were on top for the remainder of the first half and turned the game on its head with two goals from Jozabed Sanchez which were every bit as good as Brady’s. Nick Pope got a hand to the first one but could do little to keep it out but the second simply flew into the top corner. It quietened the home fans for sure. We made two half time changes. Phil Bardsley got his Turf Moor return and was joined by Ben Mee who assumed captain duties from Stephen Ward, one of the players withdrawn. Embed from Getty ImagesJozabed might have got his hat trick early in the second half when he let fly again. This time we got block in and soon after we were level. Brady took a free kick on the left and when it dropped for Hendrick in the box he made no mistake with a volley from close range. That brought activity on the Celta bench. They’d changed their goalkeeper at half time but now made ten changes in one go with John Guidetti, one of the players coming on, receiving a warm reception from the Burnley fans. As Burnley went on to make more changes, the game was disrupted although both sides did have opportunities to win it with the visitors coming close on a couple of occasions. But it all ended 2-2 with Celta having again provided us with a good pre-season test. 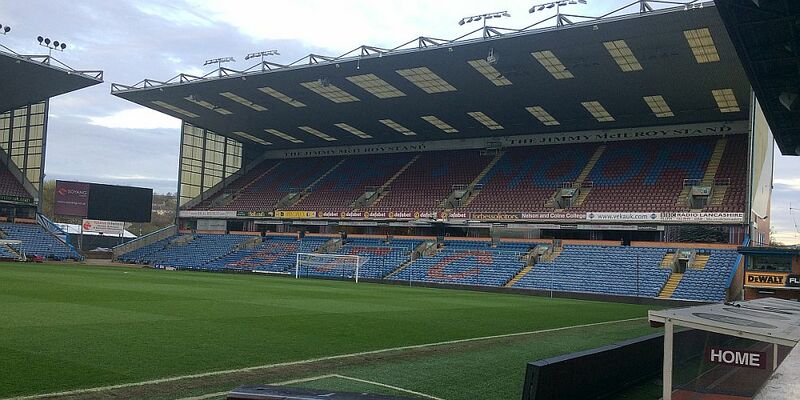 That leaves us with just the one to go when Bundesliga club Hannover 96 visit Turf Moor this Saturday. Burnley: Nick Pope, Matt Lowton (Phil Bardsley ht), Kevin Long (James Tarkowski 82), Charlie Taylor, Stephen Ward (Ben Mee ht), Johann Berg Gudmundsson, Steven Defour, Jack Cork (Scott Arfield 65), Jeff Hendrick (Ashley Barnes 65), Robbie Brady (Andre Gray 88), Sam Vokes (Jon Walters 75). Subs not used: Tom Heaton, Conor Mitchell, Tom Anderson, Dan Agyei. Celta Vigo: Sergio Álvarez, David Costas, Nemanja Radoja, Maxi Gόmez, Iago Aspas, Jozabed Sanchez, Andrew Hjulsager, Daniel Wass, Jonny Otto, Gustavo Cabral, Facundo Roncaglia. Subs: Ruben Blanco, Hugo Mallo, Andreu Fontás, Pape Cheikh Diop, John Guidetti, Pione Sisto, Claudio Beauvue, Stanislav Lobotka, Sergi Gomez, Brais Méndes, Diego Pampin. Referee: Jon Moss (West Yorkshire).